The original Microsoft Surface was a huge table-top computer with a touch screen monitor first shown 5 years ago. It never became a commercial product. The name Surface was commercialized this year with the release of the 10.6&Prime Surface RT. 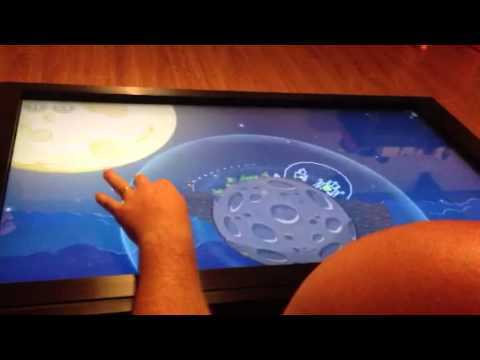 A hobbyist has merged the old Surface concept with Windows 8 to come up with a coffee table sized Surface. It looks awesome. Get out your check books for a really big touch screen. Microsoft CEO Steve Ballmer has the ultimate 80&Prime Surface with Windows 8 in his office. The original Microsoft Surface was demonstrated in this Popular Science video. Not all the prototype concepts made it yet to the Surface RT but who knows. Microsoft is the company that delivers fill body control with the Xbox Kinect.